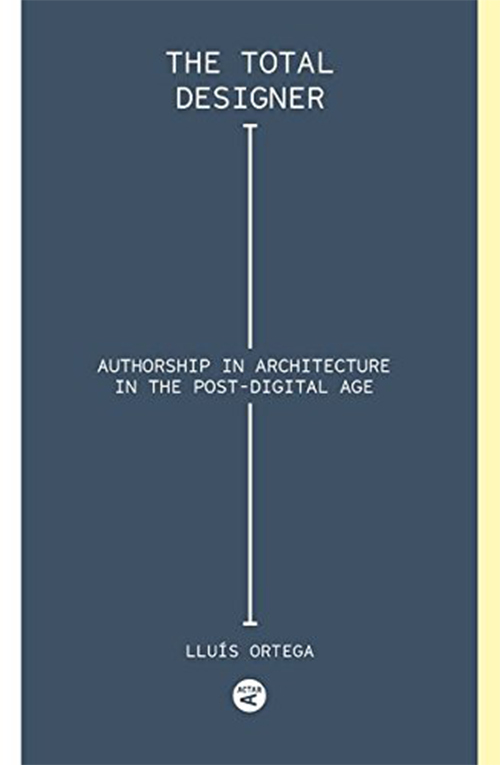 This book develops an alternative and inclusive approach -- based on the hypothesis that the impact of digitalization on architectural culture is similar to the effects of the linguistic turn in philosophy --- and steers clear of exclusive dichotomous approaches, without the foundational reconsideration of the discipline or its ontological conservation. 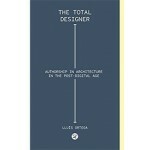 The Total Designer is a reflection on on the relationship between technology and creation. 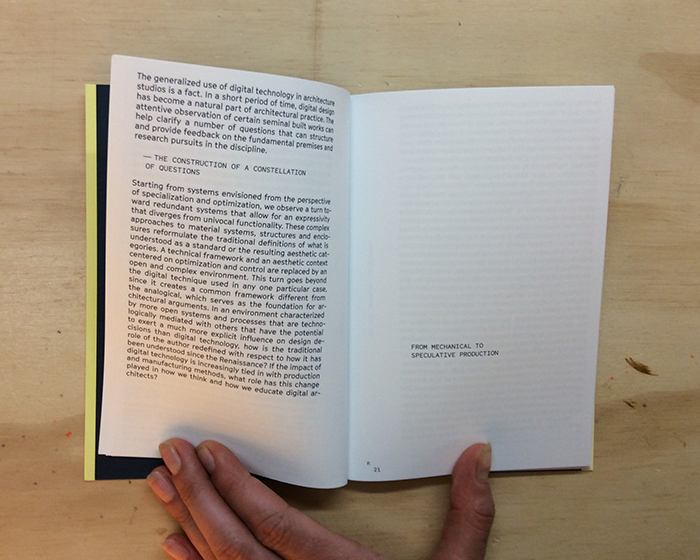 In a field like architecture, where the temporal dimension is intrinsic to its reason for being, this text adds its contribution to an essay format that is relatively unusual in architectural historiography, but which has had a huge impact on contemporary architecture: how the historical thematization of postindustrial technology has been one of the key issues in capturing a contemporary condition and in the connection between theoretical-critical activity and professional practice. What is unique here is that Ortega’s interest is focused on the repercussions of a highly technical instrumental context for architects, beyond the conventional fascination with formal prolificacy or the productive efficiency of digital tools. 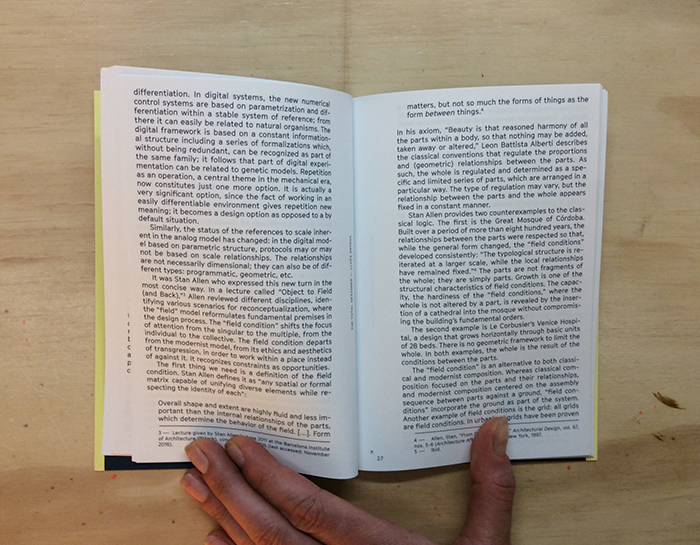 What’s more, its main focus could be defined as an answer to the question of how we should interpret this context in order to help author and time paint together in synchronicity, to help them be more creative and critical, especially in the context of a particular period: in our present, which is already postdigital to some extent.